Thursday 8 October 2009, 19.00-21.00 The Ratiu Foundation / Romanian Cultural Centre, Manchester Square 18 Fitzhardinge Street, London W1H 6EQ; Tel. 020 7486 0295 ext. 108 (booking essential, by phone or e-mail at bookings@romanianculturalcentre.org.uk) The first Gabriela Tudor Grant, with the value of �3500, will be presented to its winner during the official launch event of Thursday 8 October 2009. The evening will be hosted by Nicolae Ratiu, Chairman of the Ratiu Foundation, and Ramona Mitrica, Director of the Ratiu Foundation. Special guests from Romania and the UK will also attend: Irina Cios (cultural manager and curator of the International Centre for Contemporary Art, Bucharest ), Ghislaine Boddington (artist, curator and presenter, director of body>data>space), Cosmin Manolescu (executive director, Gabriela Tudor Foundation), and Vlad Tudor, Gabriela�s son. The grant was announced on 30 June 2009 in a press conference held at the offices of UNITER (the Romanian Theatre Union). The annual grant in the field of cultural management was created by the Gabriela Tudor Foundation, Bucharest, in partnership with the Ratiu Foundation, London. 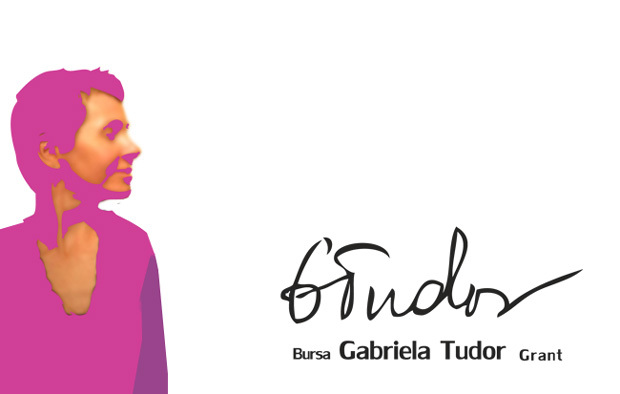 The goals of this grant are to keep alive the memory of Gabriela Tudor � one of the few visionary cultural managers in Romania � and at the same time to contribute to the development and motivating of emerging Romanian cultural managers. �By supporting this project, the Ratiu Foundation shows its commitment to the advancement of cultural management in Romania, and also to the creation of strong bonds between Romania and the UK. There is a great responsibility for the winners to follow in the footsteps of such an extraordinary cultural powerhouse as Gabriela Tudor was. Together with our partners, the Gabriela Tudor Foundation and United Experts, we want to support these young people in creating their own ways� said Nicolae Ratiu, Chairman of the Ratiu Foundation. Gabriela Tudor � who passed away, alas too soon, in January 2009 � has significantly contributed to the development of the Romanian cultural scene through her initiatives and projects, and her direct support given to artists and cultural organisations. More information on www.gabrielatudor.ro . During the launch event, we are going to present to the audience two films about some of the most significant projects initiated and organised by Gabriela: Phoenix�05 � a Model for Cultural Institutions Development in Rural Areas of Romania; and ArtistNe(s)t � a special residency programme in the field of contemporary dance, theatre, music, literature and visual arts. The Gabriela Tudor Grant is offered by the Ratiu Foundation UK and United Experts, with the support of the Swiss Cultural Programme. Funds for the Gabriela Tudor Grant also come from donations made by Voicu Radescu & Green Hours 22, Carmen Vioreanu, Irina Barbalata, Miki Braniste, Ioan and Liana Tugearu, Dan Bartha, Doina Barbu, AltArt Foundation, Elisa Fuchs, Helene Kuendig, Urs Stussi, Ina Boesch, Christine Masserey, Thomas Stauffer, Walo Landolf, Petra Bischof, Virgil Margineanu, Thomas Kugler, Natalia Volchenko, Vlad Tudor, Radu Boureanu, Thierry Dumas, Damiano Foa and Oracle Network of European cultural managers.